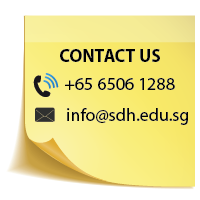 Mr Edwin Yeong is a full-time lecturer at SDH Institute. He has more than 10 years of teaching experience. He is very familiar with the local education system and MOE (Ministry of Education) syllabus. Mr Edwin has taught English to speakers of other languages and understands the difficulties faced by them. Mr Edwin has worked in the IT (Information Technology) industry for a number of years and conducted IT training classes when he was working in an IT firm. He likes teaching and interacting with his students. When he delivers his lessons, his objective is to present the topics as simple as possible. He believes many things can be explained in simple ways. 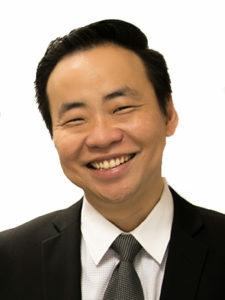 Mr Edwin holds a Bachelor of Science in Business Computing from University Bradford, United Kingdom, and a Diploma in Electronics, Computers and Communications from Singapore Polytechnic. He also holds a Certificate in English Language Teaching to Adults (CELTA) from the University of Cambridge, United Kingdom. Mr Edwin has also attended other teaching courses at the British Council.